Received these cool PicoRox magnetic frag mounts from @NanoRox today. 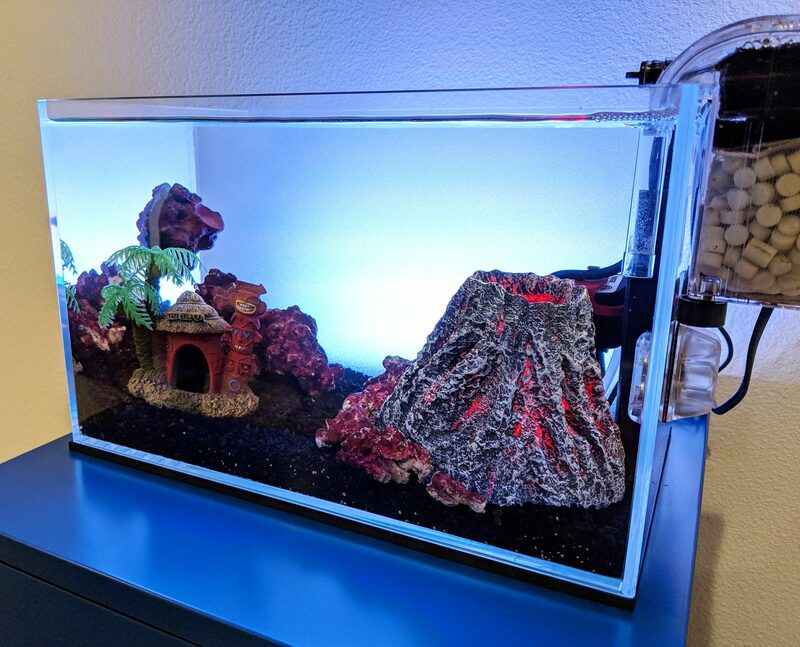 I don't have a lot of space on my limited rockwork so hoping to utilize one or two of these in the pico when the time comes. @MetaTank here's a quick photo with one of the PicoRox in the tank. 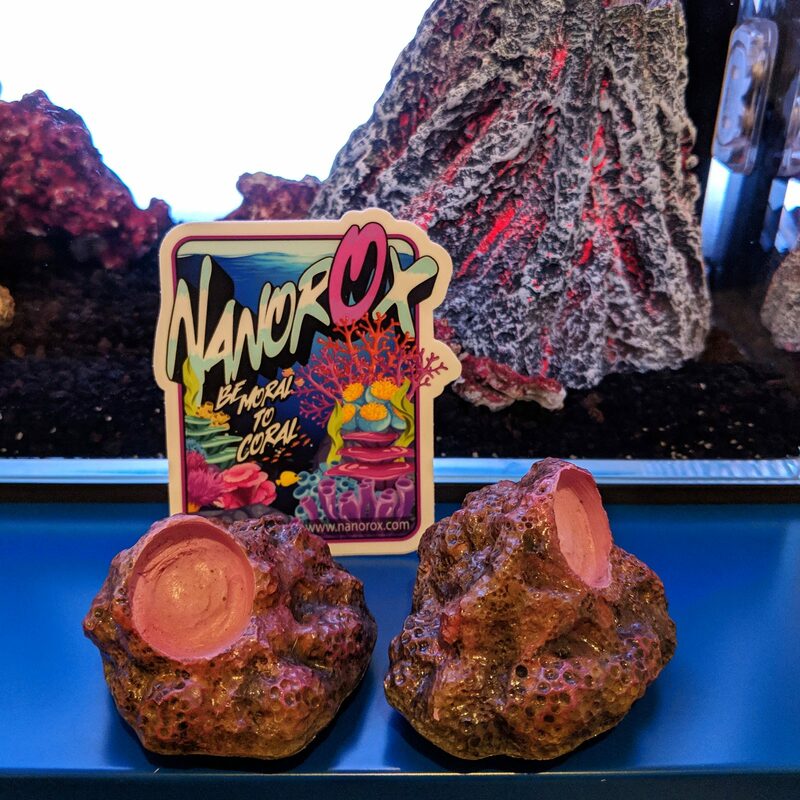 I think it needs an actual coral frag on it tho. Lol. 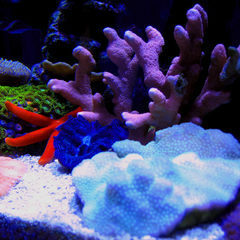 Dang, I'd love to see a little torch frag or something in one of those, so you can always isolate it or locate it "down wind" of other corals as far as flow is concerned. Plus, all that extra movement it would bring higher up in the tank. Good purchase! Pretty happy with them. Maybe put some sticks on them cuz you don't get taken seriously around here unless you have some sticks. Lol. its coming along nicely! 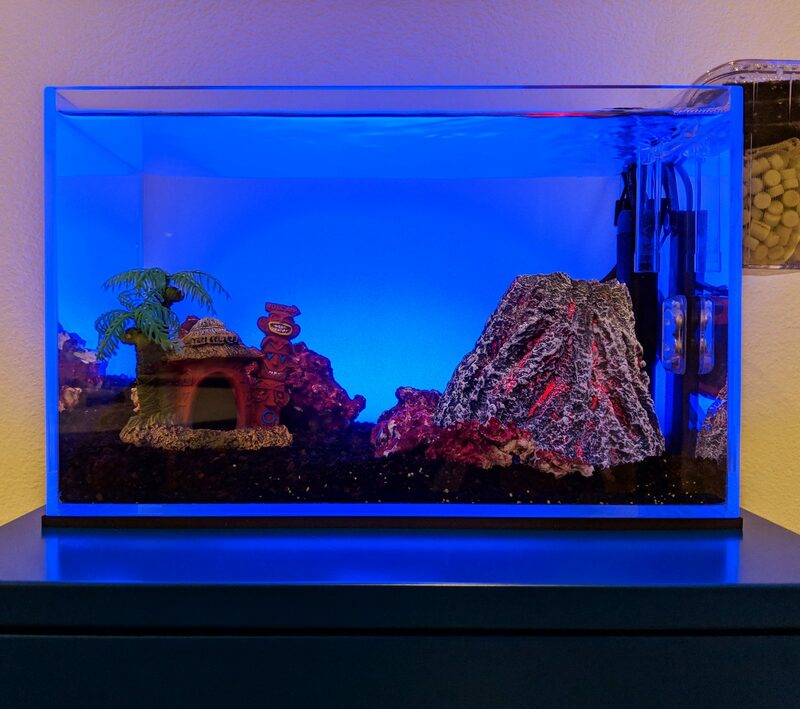 Now you just need some light and corals. Definitely need my light and coral. Hopefully should have both by Saturday so it's gonna get real serious up in here at that time. I was hoping pom-poms might take residence in there but I know that is out of my control. If that doesn't happen might look into putting something there. I do like dendros and sun coral tho.